The startup helps legal immigrants navigate the federal system, and the technology will be updated with any relevant policy changes. The six-person Boundless team — including an immigration lawyer, a paralegal and engineers and designers — has personal experience on how anxiety-ridden the process can be. Five have immigrated to the U.S. — from India, China, Mozambique, Canada and Turkey — and one later applied for a spousal visa to bring her husband to the U.S. The sixth team member, co-founder Doug Rand, worked on various immigration reforms when he served as assistant director for entrepreneurship for the Obama administration. About 43 million immigrants live in the U.S., and 8 million immigration applications are submitted each year. 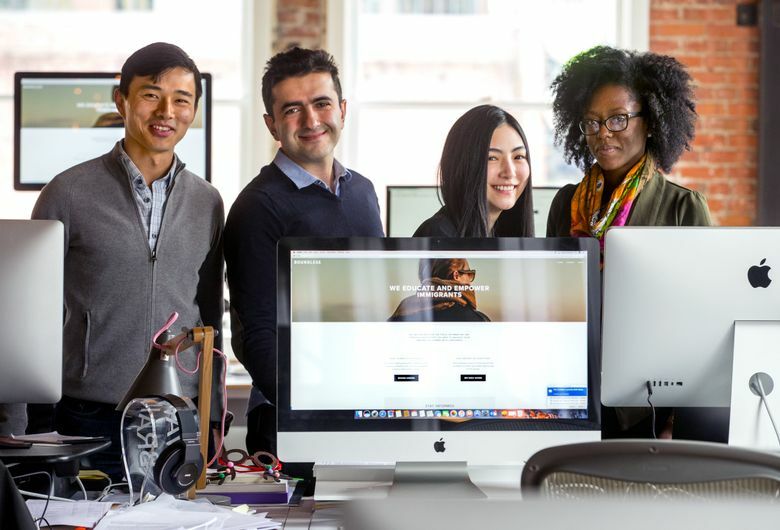 Boundless eventually wants to expand its technology to help applicants with a broad range of visas, including green cards and even the citizenship process. “While we are starting with spousal visas and family immigration, our vision is to eventually provide information and tools to help everyone navigate the legal immigration process,” he said. The startup also learned early on that technology alone isn’t enough, said chief technology officer and co-founder Serdar Sutay. Boundless will employ people to help applicants with questions on the process or use of its website, and recommend outside legal help for legal strategy questions. That personal touch is important. Sutay had help to navigate the process when he immigrated from Turkey at age 22 to work at Microsoft. He remembers sitting at tables, poring over complex regulations and forms with lawyers from Microsoft and later at Chef when he took at job at the Seattle tech company. It’s often too confusing to go through it alone, he said. Boundless is now piloting its software with a small group of early customers and plans to roll it out more broadly this summer. Boundless is pricing its service at less than $500 to complete an application. 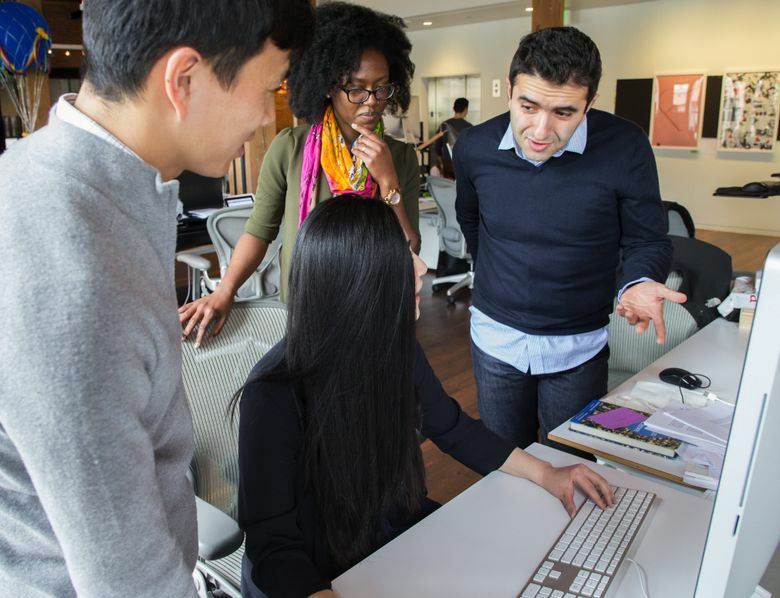 Pioneer Square Labs, a studio that launched in 2016 to create ideas for companies and spin out startups, came up with the idea for Boundless during an idea brainstorm late last year, said Labs co-founder Greg Gottesman. Pioneer Square Labs often develops ideas within its core staff and brings in entrepreneurs to start the company. In this case, Wang, Sutay and Rand came on board to start Boundless early this year. Since its founding in 2015, Pioneer Square Labs has spun out sales-tax automation company LumaTax, homebuying-technology company JetClosing, advertisement tech company Ad Lightning and now Boundless. Boundless raised its first funding round from investors, led by Trilogy Equity Partners with participation from Foundry Group, Founders’ Co-op and Two Sigma Ventures. The company will use the $3.5 million to continue developing its technology and expand its team.